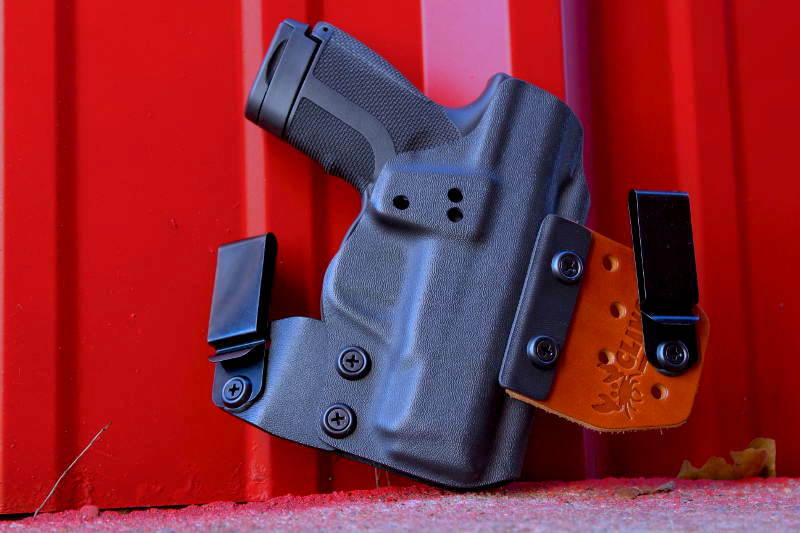 If you’re looking for a Springfield XDE 3.8 IWB holster that focuses on extreme concealment, the No Print Wonder is the perfect holster for you. 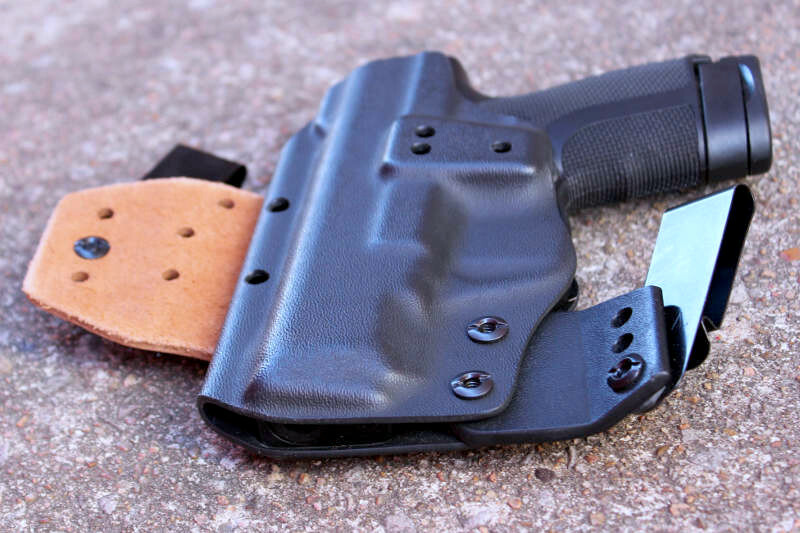 We are able to build a holster that offer amazing concealment because of the Cling Tab system developed by Clinger Holsters. 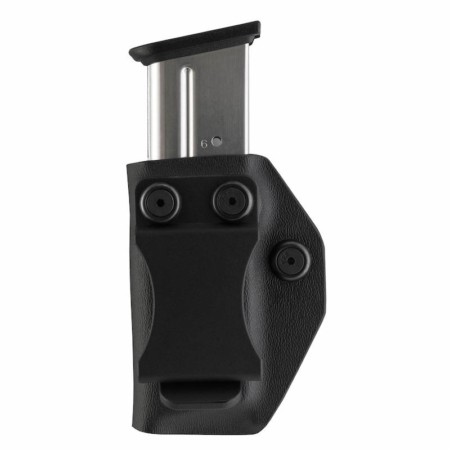 The Cling Tab works at pulling the grip of your XDE 3.8 in very close to your side. 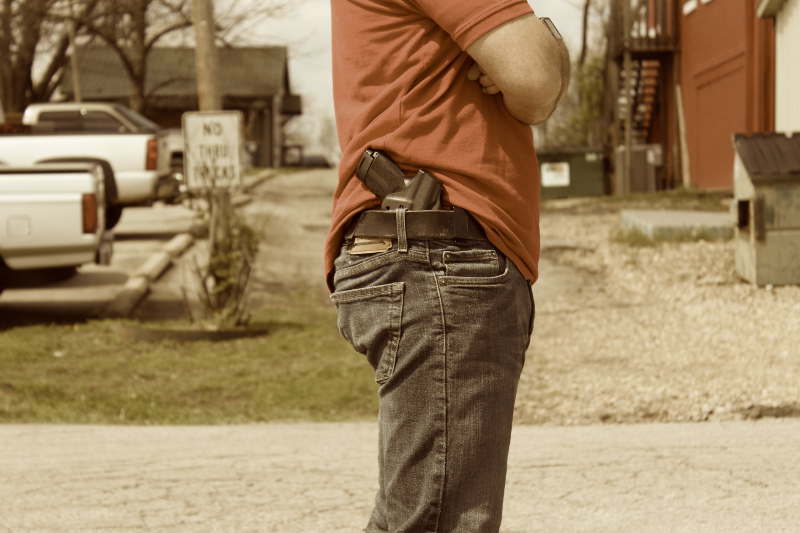 The key to concealing a pistol is to conceal the grip. 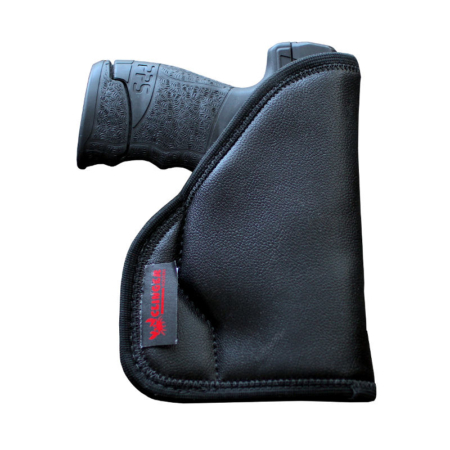 The grip is the part of the handgun that will print through your shirt if your holster doesn’t conceal very well. The stiff Cling Tab will work like a lever to pull the grip in close to your side while the Flex Tab works in tandem with it. 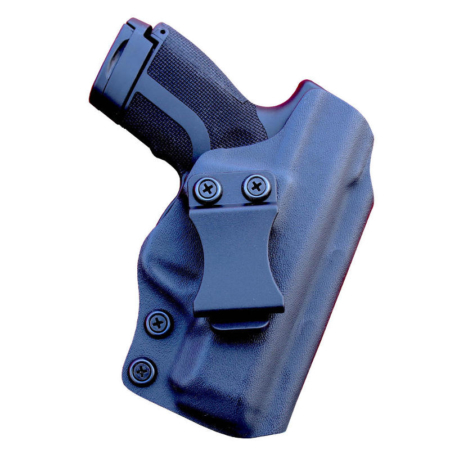 The flexible Flex Tab hinges around your waist to allow the Cling Tab to pull the grip of your XDE 3.8 really close to your body. 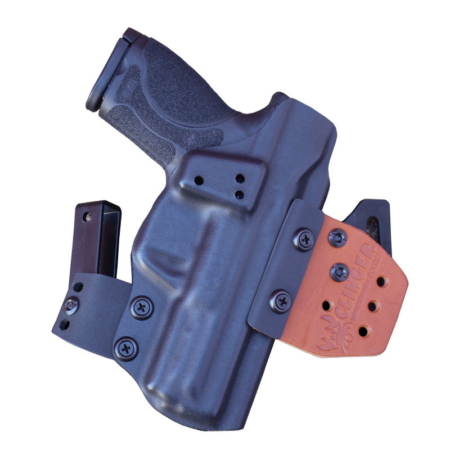 The No Print Wonder is a very versatile Springfield XDE 3.8 IWB holster. It allows you to adjust the cant angle, retention, and ride height. 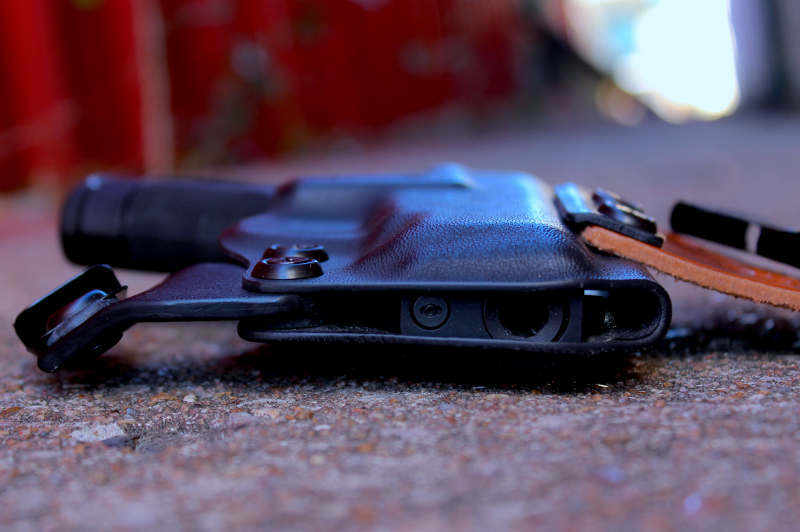 If you prefer a stronger cant angle, it’s easy to accomplish by moving the belt clips up or down. It’s just as easy to adjust the ride height. 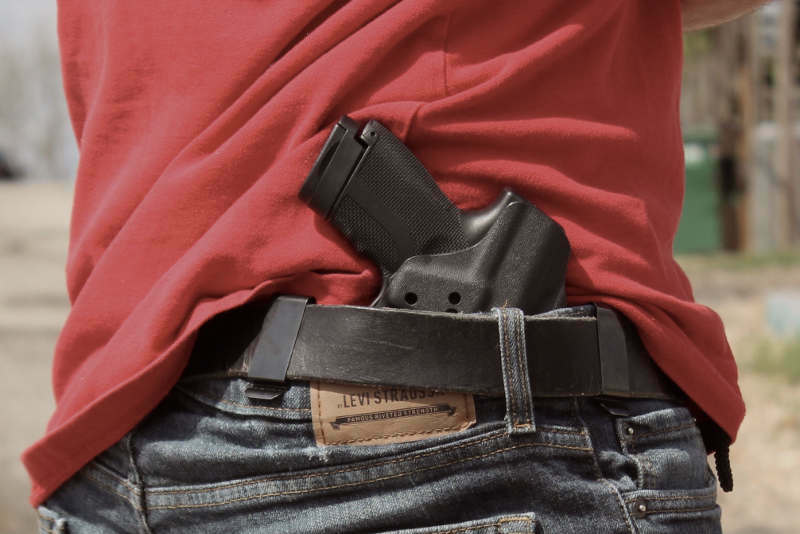 Simply move the belt clips into another position. 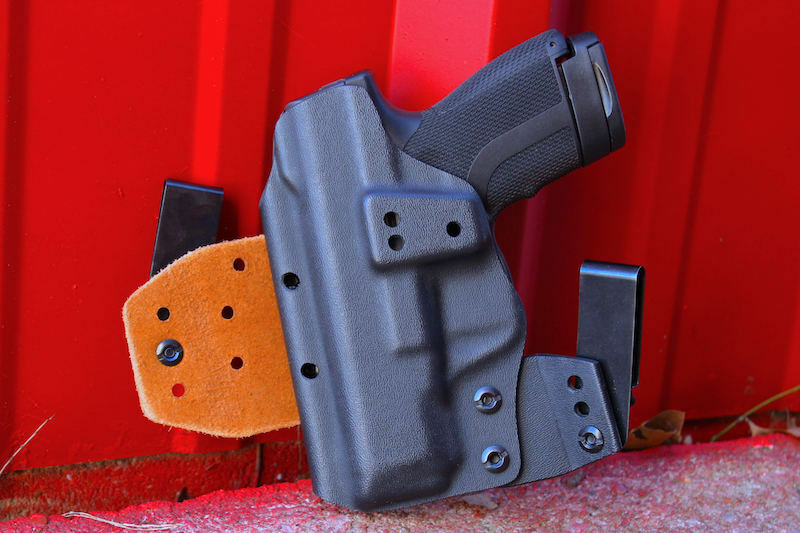 Clinger Holsters has designed the No Print Wonder to be the most versatile Springfield XDE 3.8 holsters you’ll ever use. Another Ace up the No Print Wonder’s sleeve is the ability to convert into an OWB rig. 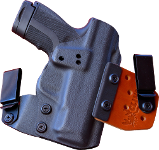 The Ultra-Conceal OWB uses the same Cling Tab system as our No Print Wonder so it works just as well at getting the grip of your pistol pulled in close to your side. 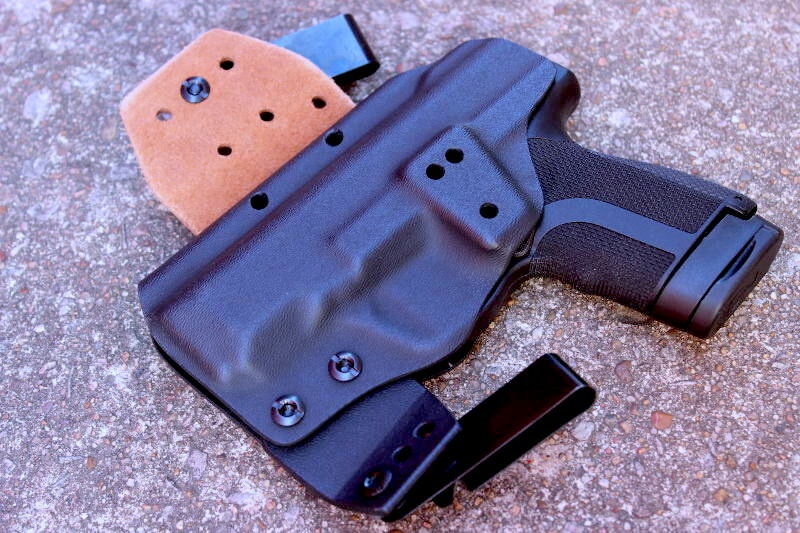 You just won’t find an OWB rig that conceals as well as the Ultra-Conceal OWB. 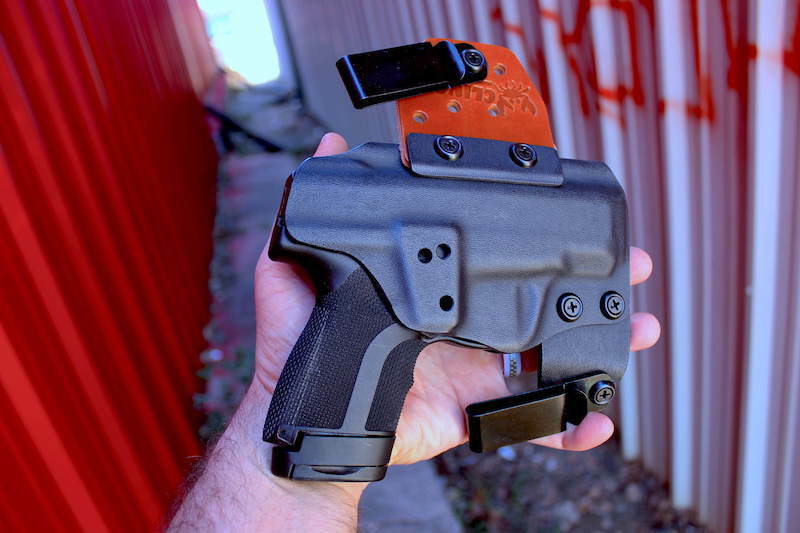 Not only that but the No Print Wonder converts into a different Springfield XDE 3.8 IWB holster: It converts into the Stingray holster as well. 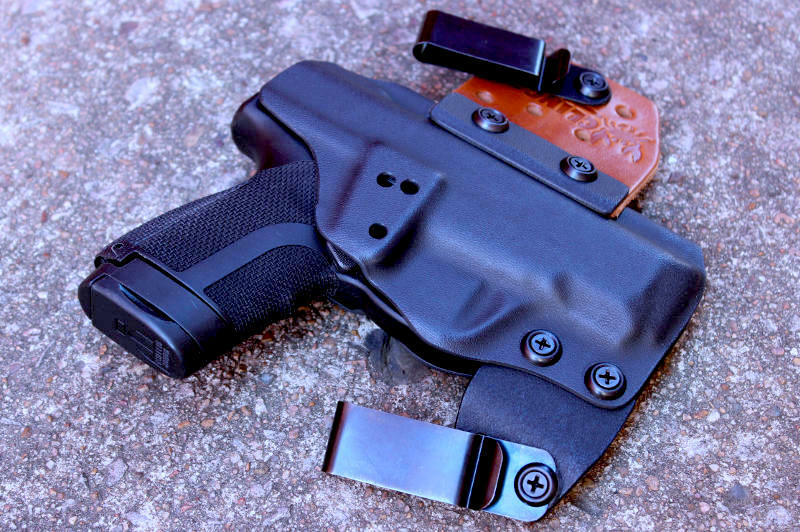 At Clinger Holsters, we want you to have plenty of options. 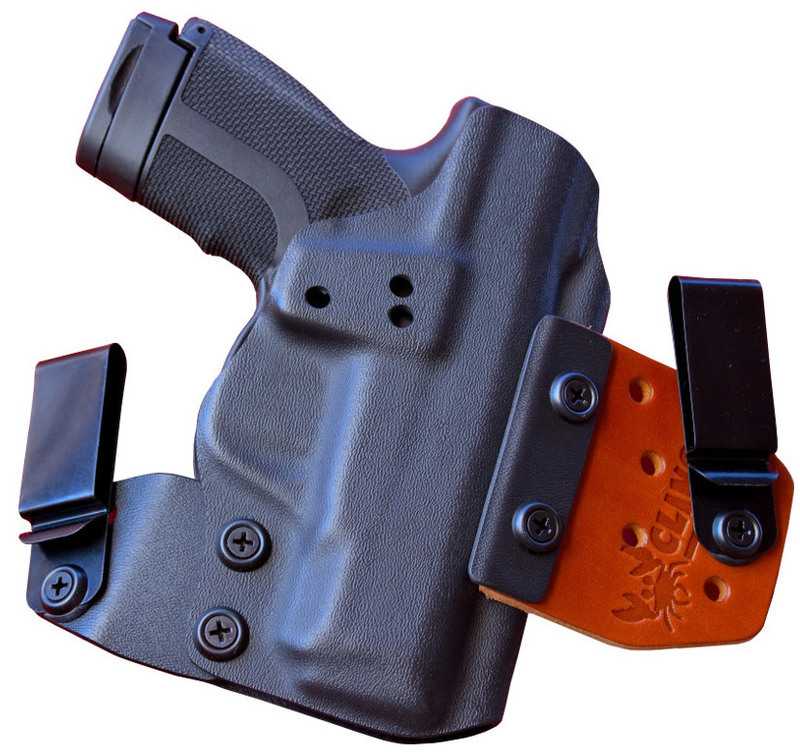 The Stingray is very useful for appendix carry or behind the hip carry when you want a holster that’s quick and easy to get on or off your belt. 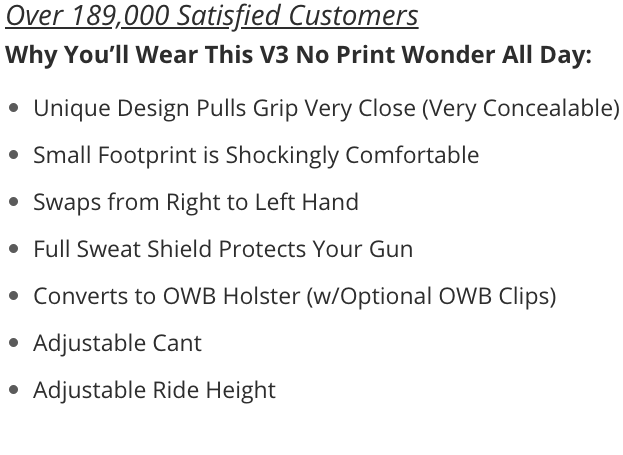 The No Print Wonder has a full sweat shield that protects your handgun from corrosive sweat while simultaneously protecting your skin from uncomfortable sharp edges. We’re so sure you’ll love this Springfield XDE 3.8 IWB holster, we include a Two Week Buy Back Guarantee.